Marvel Studios (and its parent company, Disney) have released a third trailer for its highly anticipated Avengers: Age of Ultron; which is coming to theaters May 1. 2014’s true pop princess, 21-year old former child star, Ariana Grande, recently took a bit of a thrashing in the press from a bona fide showbiz legend. A new documentary on Kurt Cobain — the first to be made with the cooperation of the late Nirvana leader’s family — is coming to HBO in 2015. In theaters this weekend is the latest installment of the ongoing Hunger Games film franchise, adapting author Suzanne Collins‘ immensely popular series of young adult novels. 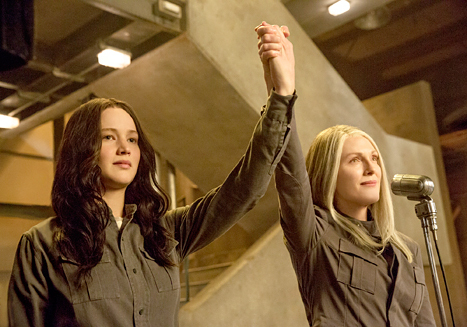 Experts say Mockingjay – Part 1 is on track to pull in about $150M this weekend alone.